The prefrontal cortex of the brain plays a role in memory, decision-making, personality expression, and social behavior. In a paper published by Molecular Brain, researchers show that chronic use of the antidepressant Prozac (fluoxetine, a selective serotonin reuptake inhibitor) can induce a juvenile-like state in certain kinds of neurons found in the prefrontal cortex of adult mice. Since it has long been believed that brain plasticity diminishes with age, the authors believe their work may serve to guide the development of new treatments for the aging brain. Past studies have provided often conflicting but always fascinating evidence of the effects on neuronal activity caused by serotonergic antidepressants. For example, some past research has indicated that chronic treatment upregulates adult neurogenesis --- the birth of neurons --- in the dentate gyrus (DG), the input region of the hippocampus (mediates memory). Other studies have claimed that antidepressants caused little alteration of neurogenesis in the subventricular zone (SVZ). 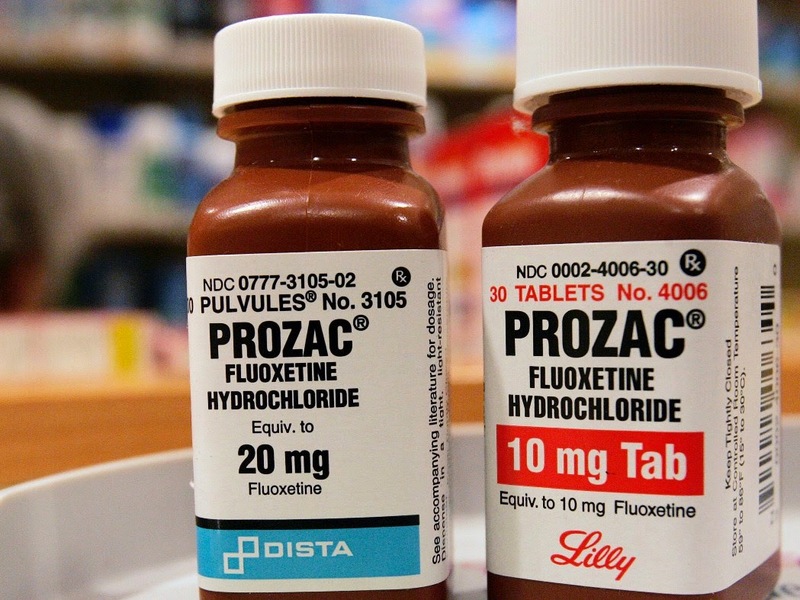 The authors have previously conducted a considerable amount of previous research on antidepressants but, to better understand the potential effects of Prozac (fluoxetine) in particular, Tsuyoshi Miyakawa, MD, Fujita Health University, Japan, and his colleagues ran experiments on adult mice treated with fluoxetine. They discovered two effects occurring at once in the mice. The fluoxetine-treated brains showed both decreased expression of parvalbumin and perineuronal nets --- molecular markers for maturation that are expressed only in a certain groups of mature neurons in adults --- and increased expression of an immature marker in the prefrontal cortex --- one that typically appears in developing juvenile brains. Quite possibly, the researchers hypothesized, some types of adult neurons in the prefrontal cortex regained, at least partially, a youth-like state from the longer-term use of fluoxetine (Prozac). The authors referred to this as ‘induced-youth’ or iYouth. The possibility that an adult brain might revert to a younger state, the researchers believe, has never before been entertained. The researchers hope to further explore the molecular and cellular mechanisms underlying iYouth. By doing so, they may also begin to understand the adverse effects of the powerful drug. The hallmarks of Depression, for which Prozac is prescribed, include a sad mood, loss of interest, weight gain or loss, fatigue, inappropriate guilt, difficulties concentrating, psychomotor agitation or retardation, and recurrent thoughts of death. Although exact causes of depression are unknown, many scientists believe it is a result of disturbances in the brain’s regulation of neurotransmitters, naturally occurring chemicals linked to mood. Network dysfunction in the prefrontal cortex and limbic system, including the hippocampus and amygdala, has also been theorized as a potential cause of depressive disorders. The researchers of the current study suggest that Prozac’s positive effect on patients suffering from these symptoms of depression may be linked to the restoration of neural plasticity in these exact regions of the brain. Yet, common side effects of the medication include anxiety, panic attacks, insomnia, irritability, hostile or angry feelings, impulsivity, and restlessness. Other adverse effects associated with treatment, such as aggression, violence, and psychosis, may somehow be linked to the very same ways in which this medication induces youth, the authors suggest. Their reasoning is based on the fact that postmortem brains of patients with schizophrenia, who often experience psychosis and aggression, express some of the same molecular markers produced during iYouth. Source: Ohira K, Miyakawa T. Chronic treatment with fluoxetine for more than 6 weeks decreases neurogenesis in the subventricular zone of adult mice. Molecular Brain. 2013.